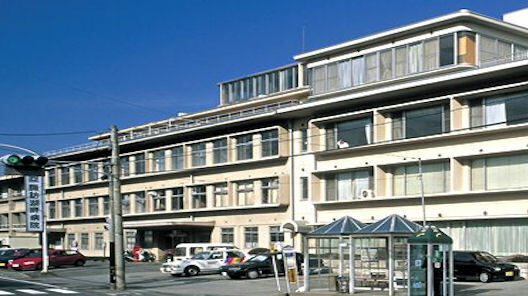 There are many smaller hospitals and clinics. Please check your neighborhood and ask a friend to recommend one. Each hospital has its own procedures, so it's best to visit with a Japanese-speaking friend. In general, the larger hospitals have outpatient service in the morning only. Smaller clinics have morning and afternoon outpatient service. Appointments can usually only be made after you have registered with the hospital or clinic. Japan's medical insurance system is divided into two broad classifications: National Health Insurance administered by municipal governments and Government Managed Insurance for employees of companies. Foreigner's who fall under the following three categories can apply for National Health Insurance. 1. Those who hold an Alien Registration Card. 2. Those whose period of stay is over one year. 3. Those not enrolled in any other health insurance plan. 2. A document written by the employer explaining the reason why you cannot join the Social Insurance. 3. If applying after more than one month after registering for the alien registration card, a document explaining the reason for the delay. When moving into Okaya, if you have not yet joined another health insurance plan or if you have terminated another health insurance plan, please notify the Health Division of the City Hall within 14 days in order to receive an insurance card. When you leave Okaya or join another health insurance plan, please notify the Health Division and return your insurance card. One insurance card is given per household. Always show the insurance card when receiving medical treatment. Confirm the term of validity and contents of the card. Please notify the Health Division if the contents of the card change. Please notify the Health Division if you lose or damage the card. When you have a long-term business trip or live away from your family, you can be issued a sub-card. The insurance premium is based on your income, the number of people insured and property tax paid. - Medical expenses - In cases of illness or injury, the policy will cover 70% of your medical fees. - Delivery expenses - When insured persons give birth, 300,000 yen is paid. - Funeral expenses - When insured persons die, 50,000 yen is paid. There are some conditions which are not considered illnesses and are not covered by the insurance. - Normal childbirth; however 300,000 yen is provided to help with delivery expenses. This insurance covers the entire amount for Caesarian section or other abnormal deliveries. - Accidents at work or while commuting to work. This is covered by Workers Accident Compensation Insurance. The Health Insurance Plan and the Employees' Pension Insurance Plan are administered under the Japanese government's full responsibility to protect the health and livelihood of people who are working for business enterprises and other establishments. Everyone, alien as well as Japanese, who is employed on a full-time basis must participate in both these plans, regardless of the nationality. The insured person receives a "Health Insurance Certificate" from the Health Insurance Plan and a "Pension Ledger" from the Employees' Pension Insurance Plan. - If the insured person takes days off from work due to illness or injury and has not been paid all or a portion of their salary, they will receive financial assistance. - In the case of childbirth 300,000 yen is paid. - If the insured person takes days off from work due to childbirth and has not been paid all or a portion of their salary, they will receive financial assistance. - In the case of death 100,000 yen is paid. The monthly premiums are determined in accordance with the insured person's salary and are shared equally between the employer and the insured person. "Lump-Sum Withdrawal Payment for Pension Contributions"
The Lump-Sum Withdrawal Payment is granted, in principal, to persons who satisfy all of the following four conditions and filed a claim within two years after leaving Japan. 1. Persons who do not possess Japanese citizenship. 2. Persons who paid the National Pension or the Employees' Pension Insurance premiums for six months or more. 3. Persons who do not have a place of residence in Japan. Persons who left Japan after November 9, 1994. 4. Persons who have never qualified for pension benefits; including a disability allowance. Follow the instructions on the form and apply for the lump-sum payment after leaving Japan. How to receive a tax refund of the 20% tax payment on the Lump-Sum Withdrawal Payment. 1. Before leaving Japan obtain a " Nozeikanrinin no todokesho (gaikokujijn-yo)" form [Declaration Naming a Person to Administer the Taxpayer's Tax Affairs (For Use by Foreigners]]. Appoint a tax representative by submitting the form to the Suwa Regional Tax Office. The tax representative must be a resident of Japan. 2. After leaving Japan, file for the Lump-Sum Withdrawal Payment. After receiving your lump-sum payment, send the " Shikyu Kettei Tsuchicho" [Notice of Lump-Sum Withdrawal Payment] to your tax representative. 3. Have you tax representative go to Suwa Area Tax Office and file the "Kakutei Shinkokusho" on your behalf. A bank account in Japan needs to be designated at the time of filing. The refund will be deposited into that account. 4. Application must be made within five years of leaving Japan. Health check-ups are conducted throughout the year at the local public halls. Check the health calendar issued by the Health Division in the City Hall for scheduled check-ups. Regularly scheduled health check-ups for 4 month olds, 10 month olds, one and a half year olds, three year olds, and four year olds are held at the Health Center. Check the health calendar issued by the Health Division in the City Hall for dates and times. Vaccinations are regularly administered at the Health Center. Check the health calendar issued by the Health Division in the City Hall for ages, dates and times. If you are pregnant, obtain a pregnancy notification from a doctor's office or hospital. Submit this pregnancy notification at the Health Division of the City Hall and you will receive a Mother - Child Health Handbook. This handbook will be the official record of the medical condition of the mother and baby including vaccinations.